From 2 to 12 May 2017, the international auction house Rapp will be presenting a comprehensive exhibition of Switzerland’s most precious and rare coins in cooperation with Chaponnière & Firmenich SA. The exhibition, curated by Ursula Kampmann, tells the story of Switzerland’s coins and documents the creation of the Swiss Franc. 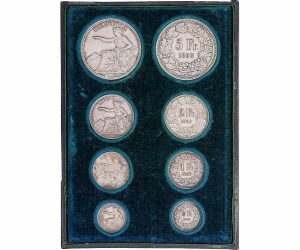 Coins featuring the type of Helvetia standing have been struck since 1874, making the Swiss Franc the oldest circulation coin of the world. The coin’s reverse type dates back to the first issues of the Swiss Confederation of 1850. Aided by sketches, original models, patterns and first strikes, the exhibition illustrates how the «Helvetia Seated» type was created and why, in 1874, it was replaced by «Helvetia Standing». 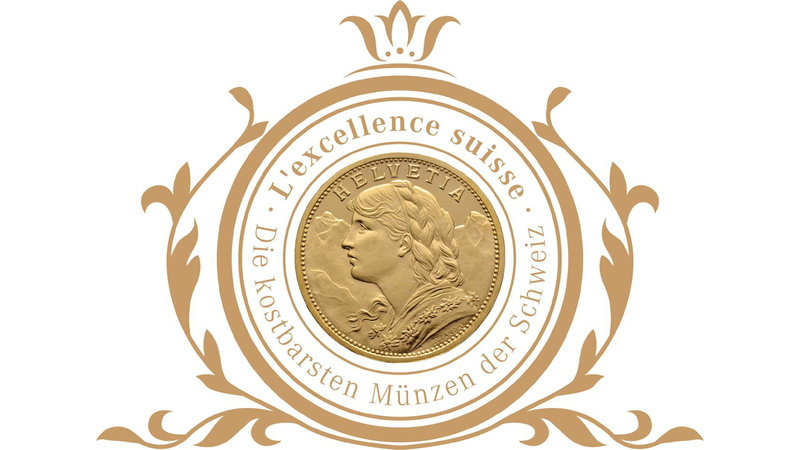 All the types of Swiss gold coins are to be seen in the second part of the exhibition. These include the great rarities such as the «Stirnlocken-Vreneli» as well as the only preserved specimens of the enigmatic gold-coin series of 1955. Additionally, the exhibition will display one of the legendary 15 strikes in gold from the dies of the commemorative coin «100 Years of Swiss Constitution», which the Federal Government awarded to 15 Swiss citizens who happened to be alive at the time when the constitution was passed. The third part of the exhibition illuminates the everyday history of Swiss money, using numismatic gems from Eastern Switzerland to raise the question why these coins were struck and how these coins were used in everyday business transactions. To accompany this exhibition, the two foundational works on Swiss numismatics authored by Olivier Chaponnière, Antoine Bovy & le Franc Suisse and L’Or de la Suisse, have been translated into German. On the basis of objects presented in the exhibition, these books tell the detailed history of the birth of the Swiss franc and of the Swiss gold coins, the latter up to the present time. Both volumes, of which the first was honored by the Jean-Paul Divo Prize of Professional Swiss Numismatists in 2016, are presented in a completely new layout. In addition, there will be a lavishly illustrated volume on The Money of Our Ancestors by Ursula Kampmann, providing insights into the background of the early-modern monetary economy. 2 to 12 MAY, 2017, 14:00 – 17:00. Admission is free. The event will take place at the premises of the Peter Rapp auction house, Toggenburgerstrasse 139, CH-9500 Wil. For further information, visit www.rapp-coins.ch.